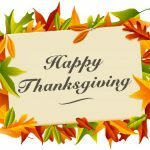 Since 1863, when President Abraham Lincoln proclaimed Thanksgiving Day to be a national holiday, families have gathered on that holiday to express gratitude for the blessings they’ve received. Lincoln’s proclamation set the day for observation as the last Thursday of the month, and that was the case consistently until 1939 when, in the aftermath of the Great Depression, it was moved to the third Thursday. This unpopular change was reversed in 1941, when it was re-established as the fourth Thursday of November. Date trivia aside, Thanksgiving is one of the most-revered national holidays and is popularly considered to be a time for family and friends to renew their gratefulness for the gift of life and loved ones. Most folks will spend time reflecting on their lives and the positives around them, and will take the opportunity to recognize the contributions that those around them have made to their well-being. It’s a day of renewal, relaxation, and reflection. But it’s also a day of celebratory feasting, and many folks gather with family and friends around a table of traditional bounty. There’s the turkey, of course, along with its traditional trimmings of stuffing, mashed potatoes, cranberry sauce, and pumpkin pie. Ham is also a frequent staple, along with a variety of vegetables, breads, and fresh salads. It’s a day when many folks set their diet and weight-loss concerns aside, if only for a few hours! While it’s clear that the kitchen becomes the focal point of the hubbub associated with the secular aspects of the Thanksgiving holiday, it’s also clear that this cooking-centric atmosphere brings with it an element of risk. 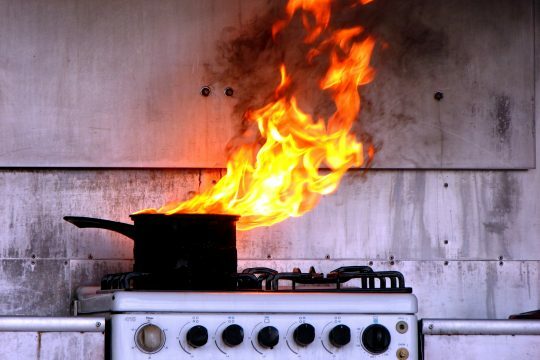 In fact, according to the National Fire Protection Association (NFPA), “Thanksgiving is the peak day for home cooking fires, followed by Christmas Day, Christmas Eve, and the day before Thanksgiving.” Recognizing this statistic, NFPA’s website offers a collection of important tips for staying safe in the kitchen on this day (and, of course, all days). We’ve repeated it here for convenience, but the webpage itself is worth a visit for additional thoughts. In closing, the AMAC Foundation staff extends its best wishes for a safe and fruitful Thanksgiving Holiday! Notice: The links provided above connect readers to the full content of the posted article. The URL (internet address) for these links are valid on the posted date; amacfoundation.org cannot guarantee the duration of the link’s validity. Also, the opinions expressed in these postings are the viewpoints of the original source and are not explicitly endorsed by the AMAC Foundation, Inc.